Russian rabbi in the seventeenth and eighteenth centuries. 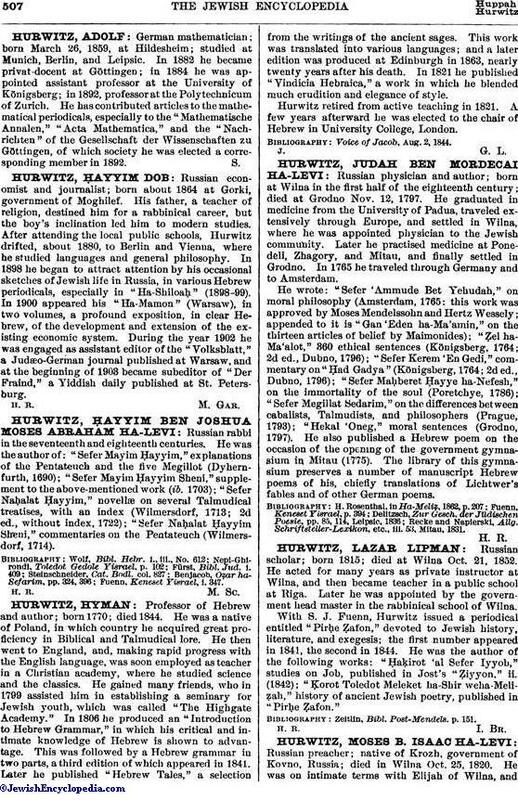 He was the author of: "Sefer Mayim Ḥayyim," explanations of the Pentateuch and the five Megillot (Dyhernfurth, 1690); "Sefer Mayim Ḥayyim Sheni," supplement to the above-mentioned work (ib. 1703); "Sefer Naḥalat Ḥayyim," novellæ on several Talmudical treatises, with an index (Wilmersdorf, 1713; 2d ed., without index, 1722); "Sefer Naḥalat Ḥayyim Sheni," commentaries on the Pentateuch (Wilmersdorf, 1714). Fuenn, Keneset Yisrael, i. 347.